"ME? . 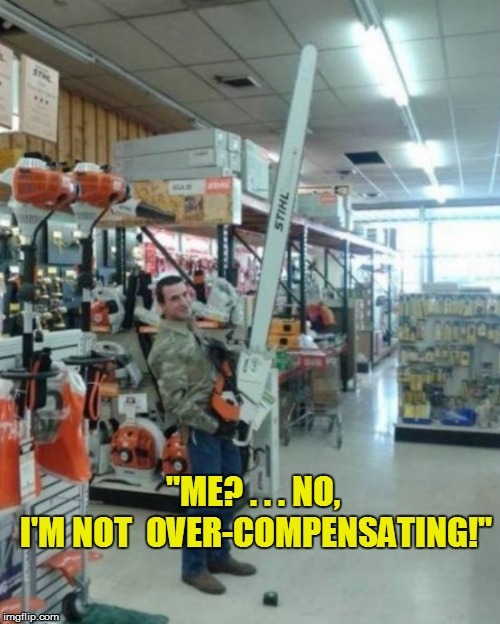 . . NO, I'M NOT OVER-COMPENSATING!"